What builds a fashion capital in China? In Shenzhen, it’s a strong 70% share of China’s high-end women’s wear market, around 30,000 fashion designers and over 2,000 fashion retailers. What’s more, the city benefits from the South China market’s status as a significant trading hub, as a key area of the central government’s new Belt and Road Initiative, supported by Guangdong’s solid garment manufacturing industry. 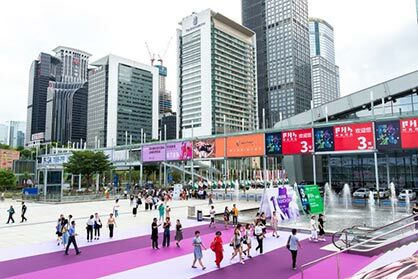 From 4 – 6 July 2019, exhibitors and trade buyers alike will be able to capture this market potential at Intertextile Pavilion Shenzhen. To stay competitive in China’s apparel market, manufacturers and brands are constantly seeking new products to stay ahead of trends. At last year’s edition, positive feedback from exhibitors proved Shenzhen as an ideal place to capture this potential. “Shenzhen is a fashion capital with a solid industry, from design to manufacturing. This is an influential region where most of the successful brands and market leaders are based. This fair has successfully gathered high-quality buyers that have even exceeded my expectations,” commented Mr Jacky Lam, Sales Director of UPW from Hong Kong. Around 1,000 leading exhibitors are expected to join Intertextile Pavilion Shenzhen 2019, and will display a wide range of fabric product categories including man-made, knitted, silk, linen / ramie, wool, denim, sportswear / functional, lace & embroidery and swimwear / lingerie, as well as yarn & fibre and accessories. What’s more, new product groups will be featured, including OEM, sewing equipment and textile additives to further fulfil buyers’ diverse sourcing needs. Taiwan Pavilion: organised by the Taiwan Textile Federation, featuring knitted, jacquard, lace and embroideries, woven fabrics, functional and denim fabrics. Korea Pavilion: organised by Korea Fashion Textile Association (KFTA) and Daegu Gyeongbuk Textile Industry Association (DGTIA), will display a wide range of ladies wear fabrics, such as man-made fashionable fabrics, knits, embroidery jacquard, tri-acetate woven and printed fabrics. Some members will also showcase functional fabrics and faux fur. Fine Japan Zone: will cover a range of high-quality cotton and man-made fabrics for ladies wear as well as casual wear, with the ability to handle small order quantities, product-in-stock orders and quick delivery service. Intertextile Pavilion Shenzhen takes place alongside the 19th China International Fashion Brand Fair, a fashion garment event, in halls 1 – 4, while a fashion show also features in hall 5. Intertextile Pavilion Shenzhen will be held from 4 – 6 July 2019. This fair is organised by Messe Frankfurt (HK) Ltd; the Sub-Council of Textile Industry, CCPIT; the China Textile Information Centre; and the Shenzhen Garment Industry Association.